The Complete Coinbase Review 2018: The Best Exchange for Beginners? Coinbase is easily one of the leaders in the world of cryptocurrency exchanges. Even with the dramatic increase in exchanges, Coinbase has stayed at the forefront due to its safe and secure transactions, excellent organization, and long history. Coinbase launched back in 2012 in San Francisco. By the following year, it was the Bitcoin startup with the most funding, plus the biggest cryptocurrency exchange worldwide. Now, it serves customers in 32 different countries. Throughout its history, Coinbase has helped more than 12 million customers with exchanges valued at more than $40 billion. 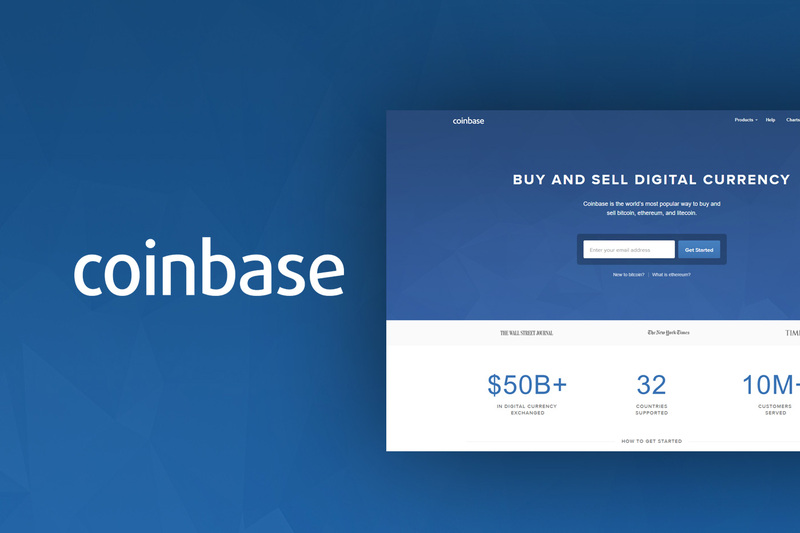 In addition to its longstanding history, Coinbase stands out for the fact that it relies on a set price based on the market value of various cryptocurrencies. Because this price is based on the market value, trading itself is much faster. Additionally, Coinbase is among the very few cryptocurrency exchanges that lets you use familiar methods related to fiat currency instead of just cryptocurrency. Users can rely on their credit card or make a bank transfer to purchase cryptocurrencies, making it easier to get in on the cryptocurrency market. 1 How Do You Create a Coinbase Account? 2 How Do You Use Coinbase? 3 What Currencies Are Supported? 4 What Countries Are Supported? 5 What Fees Does Coinbase Charge? 6 Are There Transaction Limits? 7 Is There a Mobile App? 8 What Is the Coinbase Shift Card? 9 How Is Coinbase Customer Support? 10 Is It Safe to Use Coinbase? 11 What About Preventing Unauthorized Account Access? 13 Should You Worry about Coinbase Downtime? How Do You Create a Coinbase Account? 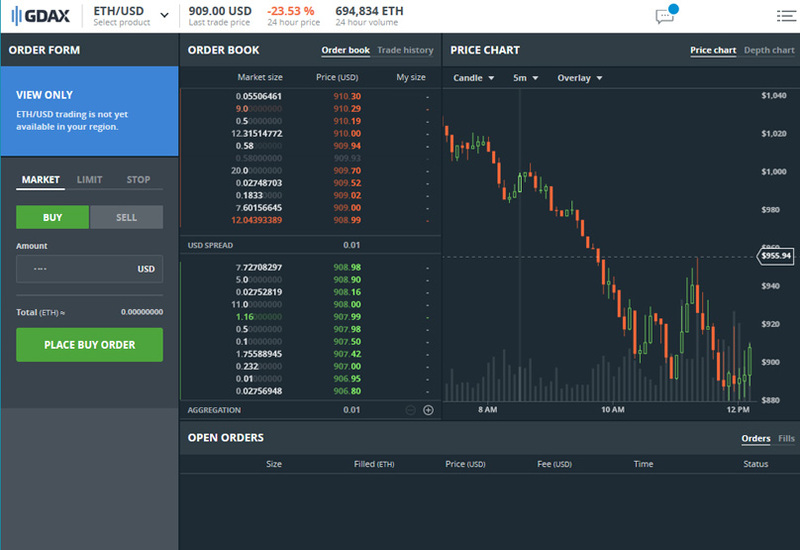 It is incredibly straightforward to set up your account on Coinbase and begin trading. Start by entering basic information, such as your name, chosen password, and email address. You will then confirm the email address. The given link will bring you to the startup page, where you choose to make a business or individual account. After this, the system asks you to verify a personal phone number. This is strongly encouraged since it lets Coinbase use two-factor verification and protect your information and security. However, you can also opt for other types of two-factor identification if you prefer. From there, you set up your payment method, either with a credit card or bank transfer. If you opt for a credit card, you will need to screenshot your card, but you will have instant transactions. To confirm a bank transfer, Coinbase will send one to two very small transactions to or from your account for purely verification reasons. Expect SEPA transfers within the EU to take one to three days and bank transfers within the United States to take four to five days. There is also an option to link your PayPal account, but you cannot use this to make deposits, only for withdrawing proceeds from sales. Wire transfers are also a possibility for American bank accounts, but only for deposits and withdrawals, not buying or selling. This takes one to three business days to complete. How Do You Use Coinbase? As soon as you put money in your Coinbase account, you can start buying and selling cryptocurrencies. There are various tabs that help you select the proper cryptocurrency. Before the transaction goes through, you will be shown how much of which currency you are buying and the fees. From there, you can confirm the purchase and will receive the correct amount of cryptocurrency in your Coinbase wallet. If you want to send cryptocurrency, ( eg. to your own wallet ) just go to your account’s “Send” tab. From there, choose which wallet you want to send the coins from and input the quantity and recipient’s public key for their address. 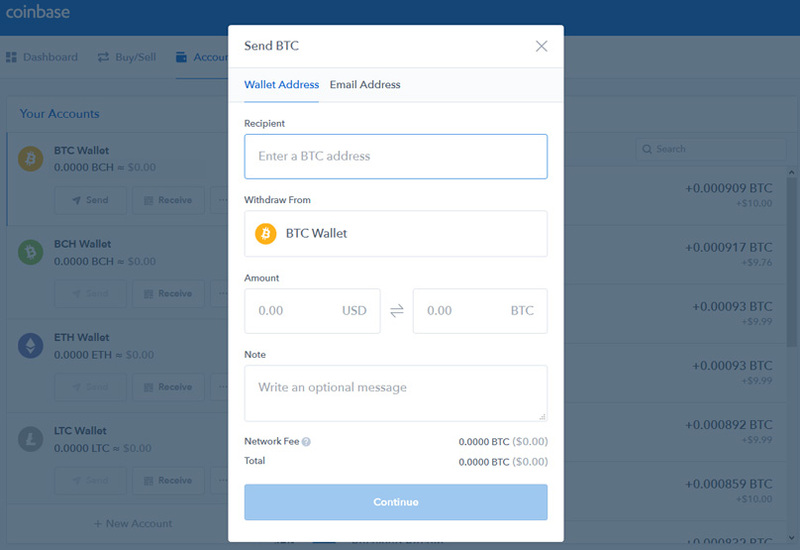 Finish the transaction by hitting “Send.” If you want to receive money, you can find your public wallet address by going to the “Accounts” tab and then clicking on your wallet. From there, click on “Receive,” and the address will appear. Coinbase supports a limited number of cryptocurrencies at the moment but has an incredibly high volume of trades with those currencies. At the moment, you can use it to buy or sell Bitcoin, Bitcoin Cash, Ethereum, or Litecoin. There are plans to enlarge this list and allow more cryptocurrency trades. Coinbase is based out of the United States, so it should come as no surprise that customers within the USA can use it. It also serves customers in 31 other countries: United Kingdom, Sweden, Spain, Slovenia, Switzerland, Slovakia, San Marino, Singapore, Poland, Portugal, Norway, Netherlands, Malta, Monaco, Liechtenstein, Latvia, Jersey, Ireland, Italy, Hungary, Greece, Finland, Denmark, Cyprus, Czech Republic, Canada, Croatia, Bulgaria, Belgium, Austria, and Australia. What Fees Does Coinbase Charge? Coinbase needs to charge fees to cover its expenses and make a profit. Even so, it has relatively low fees, ranging from between about 1.49 percent and 3.99 percent based on the payment method. Compared to other exchanges, these fees are lower. Those who take advantage of the ability to use credit cards will pay a slightly higher fee. There are indeed transaction limits for those who use Coinbase, but they vary based on country, verification status, and payment method. Once you log into your account, go to the “Account’s Limits” page to see your limit. You can also apply for a higher limit, but this requires verifying your identity. With an approved application, European customers can have up to $30,000 in their Coinbase account, and U.S. residents can complete transactions involving a maximum of $50,000 weekly. 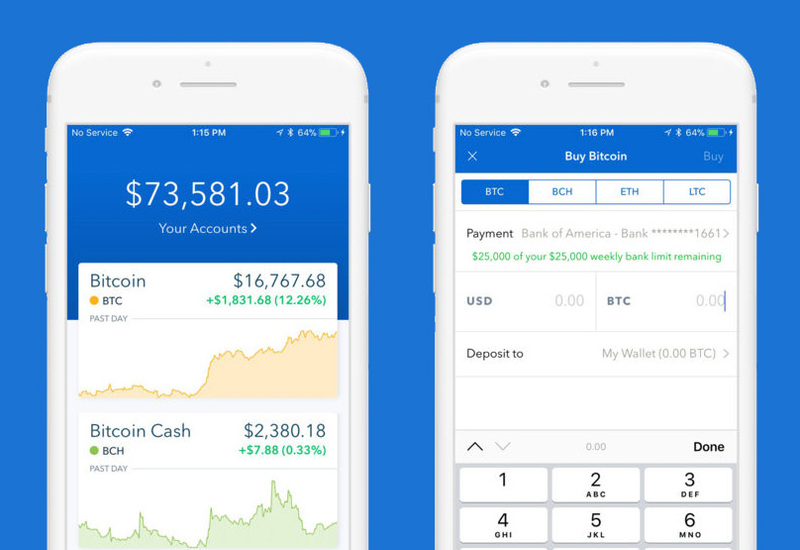 There is a Coinbase mobile application for both iOS and Android, and it is just as straightforward to use as the web version. You can perform most of the same functions, easily adding payment methods and verifying your identity. What Is the Coinbase Shift Card? 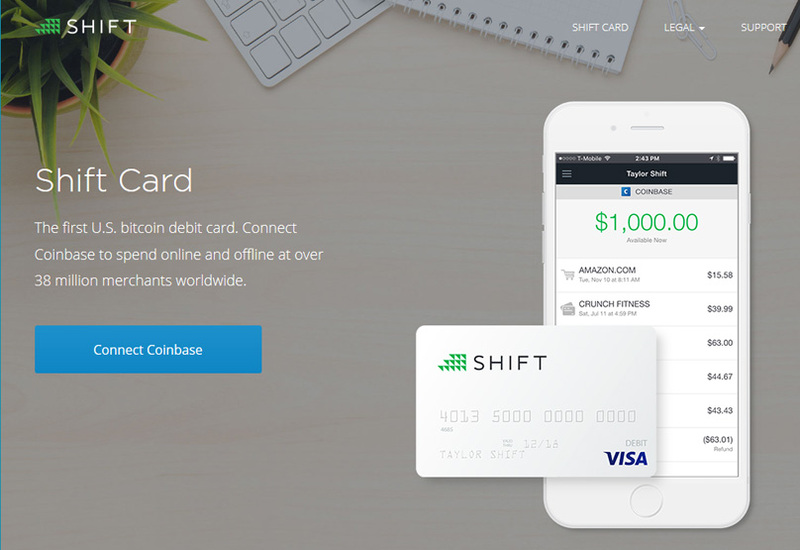 To help separate it from other cryptocurrency exchanges, Coinbase also offers the Shift Card. This is a VISA debit card that let those in specific states and territories of the United States spend Bitcoin from their Coinbase account at any location where they accept VISA. There is an initial fee of $10, but users do not have any fees related to exchanging their Bitcoin for USD or general fees on domestic transactions. How Is Coinbase Customer Support? Coinbase has extensive support pages for customers to access, including an FAQs page and one for Knowledge Base. Between the two, you should find answers to the most common questions and problems. If not, the customer service is available via email. In most cases, users receive a response within 24 to 72 hours, although the time varies based on the demand. Some users have said that the initial responses from Coinbase support seem prewritten at first and might not address the issue. However, subsequent messages can resolve the issue. It should be noted that as the cryptocurrency world has exploded in the last few months, support times on most exchanges can be slow and Coinbase is no exception. They have stated that they are investing significantly in new support staff to keep up with demand so it’s something to bare in mind when using them. Is It Safe to Use Coinbase? Many people are still concerned about investing in cryptocurrency because it is relatively new compared to well-established fiat currencies. While there is always some risk involved in buying or selling a cryptocurrency, the same is true of fiat currencies. In terms of cryptocurrency exchanges, Coinbase is regarded as among the most secure platforms. It helps that this is one of the only exchanges based within the United States, which means it must meet federal and state laws. Most competing exchanges, by contrast, operate in other countries, some of which have less strict requirements. In addition, Coinbase has actually sought out conversations with regulators to confirm that it delivers an innovative and open financial system. While some people complain that Coinbase’s operation is too close to that of a bank, which many in the cryptocurrency world wish to avoid, others appreciate this because it provides additional confidence. To further boost its legitimacy, BBVA and Bank of Tokyo are just two of the high-profile backers for Coinbase. To increase security even more, Coinbase is fully transparent regarding how it stores funds. It separates the company’s operational funds from customer funds. The customers’ funds are stored in custodial bank accounts. If an insolvency were to occur, Coinbase states right on its website that the company itself and its creditors have zero rights to those funds. As for the secure storage methods of funds, the customers’ cryptocurrency funds are mostly (98 percent) stored offline using paper wallets and hardware wallets stored in safety deposit boxes and vaults around the world. The remaining 2 percent stored online has insurance, so customers will receive their lost funds if a hack does occur. What About Preventing Unauthorized Account Access? As mentioned earlier, Coinbase asks users for their phone number as part of the two-factor verification process. This typically involves sending an SMS to the phone number on file. The alternatives include third-party applications, such as Duo or Google Authenticator. Users of Coinbase will also receive notifications any time that a new IP address or account tries to access the customer accounts. However, you should keep in mind that Coinbase doesn’t accept liability if any funds are lost in the case of compromised customer accounts. Because of this, most experts suggest that after buying cryptocurrency via Coinbase, you store it offline in a wallet. In the FAQs section, Coinbase offers more advice for improving your account security. This includes using a complex, unique password for your account. It also suggests confirming that your email address is secure and being aware of potential phishing emails that claim to be Coinbase. Keep in mind that Coinbase and its employees will never ask for your 2FA, password, or remote computer access. On a related note, many users have expressed concerns online about the fact that Coinbase monitors users more than most would prefer. Coinbase sometimes tracks where customers send cryptocurrency. It is also possible for Coinbase to block users from specific transactions, such as those for darknet purchases or on gambling sites. Coinbase is also fighting the IRS and its request to deliver customer financial data. GDAX is the exchange part of Coinbase, and this rebranding occurred in 2015. In creating GDAX, Coinbase wanted to separate the casual platform for consumers from the one more geared toward traders. 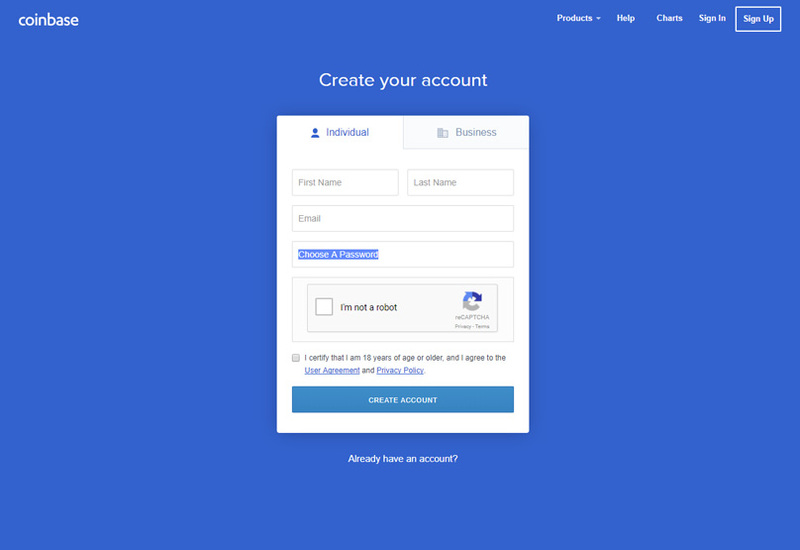 By making a Coinbase account, you automatically get one for GDAX, as well, with the same login credentials. On an interesting note, it is possible to avoid some Coinbase fees by putting money in your Coinbase account with a bank transfer and then purchasing via GDAX. Should You Worry about Coinbase Downtime? Everyone with an interest in the cryptocurrency community knows that Bitcoin’s price has been constantly surging higher and higher. Because of this, there are periods of very high usage on Coinbase, which has led to downtime, both on the app and website. That led to an inability to make trades, yet Coinbase is working to correct the issue. Additionally, these are somewhat expected issues for a platform that is still growing, particularly one experiencing an unprecedented usage, such as Coinbase. The downtime issue is being resolved with scaling, and most users have not even noticed an issue. There are also occasional problems, such as partially degraded service in the form of backlogged wires. In mid-January, there was still a slight delay to wire transfers due to a December backlog, but Coinbase expected to have this issue resolved very soon with only minimal delays for January wires. Coinbase is still growing and ironing out a few wrinkles, such as the occasional downtime or backlog, but it is a very useful tool for those who want to be involved in the cryptocurrency market. The interface is very easy to use with straightforward tabs and a layout that should not lead to any confusion. As such, it is a very good option for those who want an introduction to cryptocurrency involving the main currencies and one of the easiest methods for people new to the cryptocurrency world to make their first purchase of Bitcoin, Ethereum or Litecoin using a Debit / Credit card or bank transfer. The exchange also takes numerous security measures to ensure that your information and money are protected. Even so, those who user Coinbase should always aim to transfer the cryptocurrency they buy to their personal wallets, so they are the only ones with access to the private key. 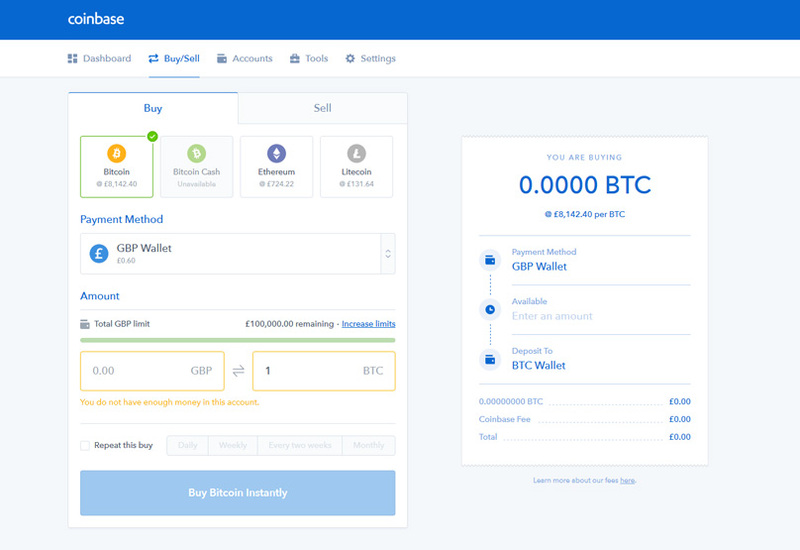 The CoinBase is Wallet + Bitcoin Seller I’m using past 5 Month This really awesome wallet + Bitcoin Seller Recently it add in their Cryptocurrency selling Litecoin (LTC), I’m very excited for that News. CoinMama the easiest and quickest way of purchasing virtual currency (Bitcoins and Litecoins) online using your Credit, Debit Card or Cash, you’ll receive your coins within minutes!